Tidy gets your busy schedule. So it created a deodorizing system with its improved TidyLock formula that delivers around-the-clock freshness and helps keep your home smelling clean 24/7. 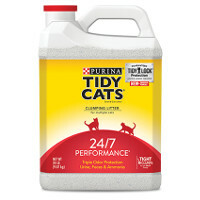 Love Love Tidy cat litter.